Norway has set its sights on creating the world's first zero emissions control area (ZECA). A resolution adopted by the Norwegian Parliament seeks to halt emissions from cruise ships and ferries in the Norwegian world heritage fjords "as soon as technically possible and no later than 2026." "For the first time in the world there is a requirement for emission-free sailing in the fjords and their harbours. 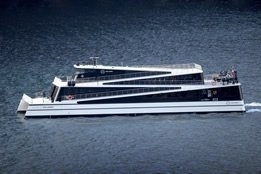 Norway has long been a world leader in emission-free ferries based on sound political decisions on zero-emission requirements. Now the country is taking a step further in the maritime green shift, that has global repercussions," says Marius Holm, head of the environmental foundation ZERO. "At the national level, this will mean a welcome development towards emission-free solutions on many tourist ships, a significant decrease in greenhouse gas emissions and a halt to harmful local air pollution." The move has been welcomed by local operator Havila Holding AS, with CEO Per Sævik saying his company will be ready to sail emissions-free with its cruise ships in the fjords as early as 2021. Norway's NCE Maritime CleanTech said the decision means all cruise and tourist ships currently sailing along the coast of Norway immediately have to plan for how to halt emissions. "Emission-free tourist ships are already a reality, as exemplified by the recently completed all electric tourist ship Future of the Fjords," the company said. While it remains to be seen if other nations will now follow suit, the International Maritime Organization (IMO) recently said phasing out GHG emissions from international shipping as soon as possible in this century was "a matter of urgency." Last month Dr Tristan Smith from the UCL Energy Institute suggested that on a global level, the end of today's traditional oil-based bunker industry will begin in the 2030's.